This post is part of a social shopper marketing insight campaign with Pollinate Media Group™ and eMeals all my opinions are my own. #pmedia #eMealstotheresuce https://cmp.ly/3/8vNxcO. I have tried my hand at meal planning many, many times over the past few years. I absolutely love having a dinner plan and being able to grocery shop with a plan instead of wandering around picking up random ingredients that may or may not work together. I have the best intentions every time I set out to put together a weekly menu, but the chaos of everyday life always interrupts my best laid plans, and I end up quickly writing “tacos, pizza, burgers, pasta” and so on. Nothing creative and certainly not always the healthiest options – honestly, my kids have eaten more than their fair share of mac and cheese lately. When I heard about eMeals, I was beyond excited to try it out! 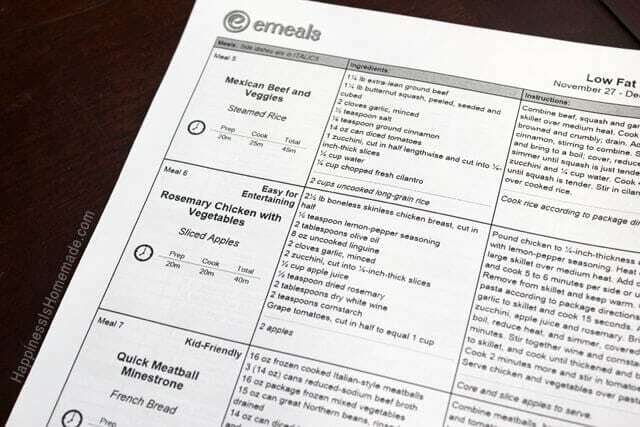 Not only does eMeals provide a weekly menu plan based on your family size and dietary preferences, they also give you a complete grocery shopping list that tells you what to buy and matches up with store sales and specials for the week. Seriously? That sounds like an incredible time saver! I have to admit that I was still a bit skeptical though. My family is full of picky eaters, and I wasn’t sure that there was going to be a plan that would make all of us happy. 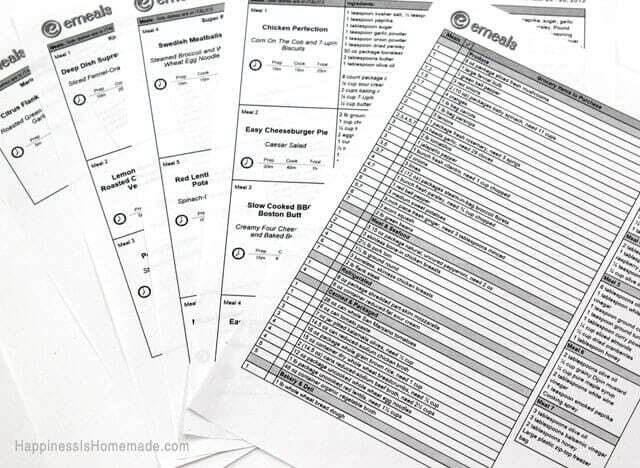 I checked out a few of the sample meal plans – Classic, Natural & Organic, Paleo, Clean Eating, Low Carb and Portion Control (there are lots of other plans too!) – and I finally decided to try the Low Fat plan. I followed eMeals four simple steps to sign up, and I crossed my fingers that my family would be excited about the options on the menu that was about to arrive in my inbox. I am SO happy to say that I had nothing to be worried about! The meal plan is perfect for my family (and even if it wasn’t, eMeals allows you to change your plan once every 30 days!). Not only do I have an immediate answer for the “Mommmm, what’s for dinner?” question, but I’m ready to start preparing dinner at 4:30 instead of rummaging through the pantry trying to come up with a plan. I truly couldn’t be happier with it! We loved the Rosemary Chicken with Vegetables recipe so much that I wanted to share it with you. Gather all of the necessary ingredients, and then pound the chicken breasts to 1/4-inch thickness, and sprinkle with lemon pepper seasoning. Heat oil in a large skillet over medium heat. Add chicken, and cook 5-6 minutes per side or until done. 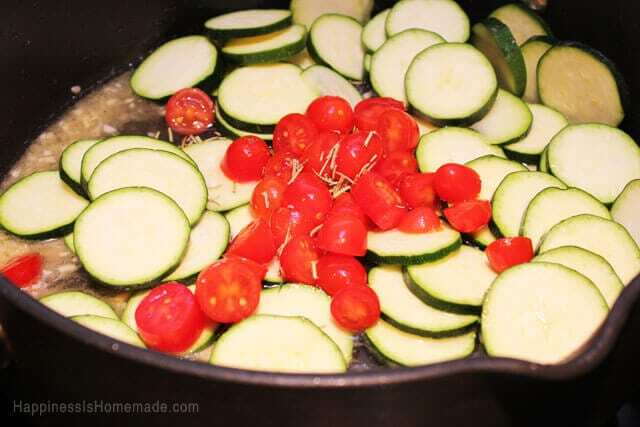 Remove from skillet and keep warm. In separate pot, cook pasta according to package directions. 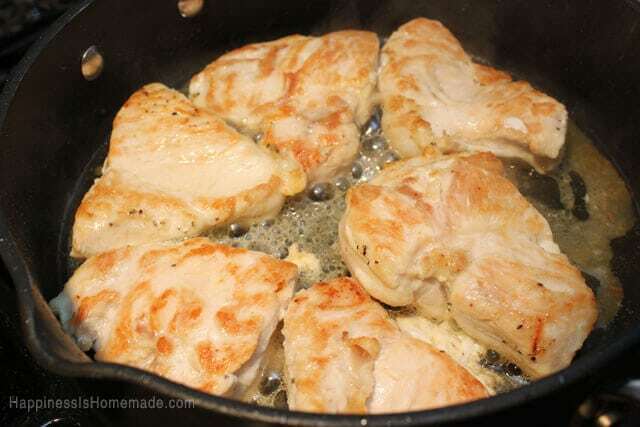 Add garlic to skillet and cook for 15 seconds. 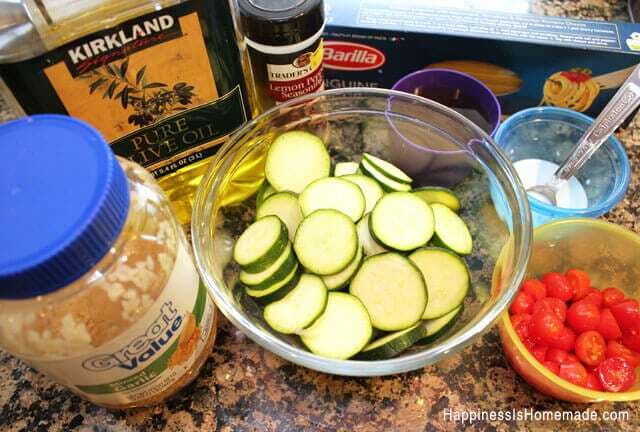 Add zucchini, apple juice and rosemary. (Note: The original recipe says to add the tomatoes later, but I added mine at this point because I wanted them to break down a bit.) Bring to a boil, reduce heat, and simmer, covered, for 2 minutes. Stir together the wine and cornstarch. 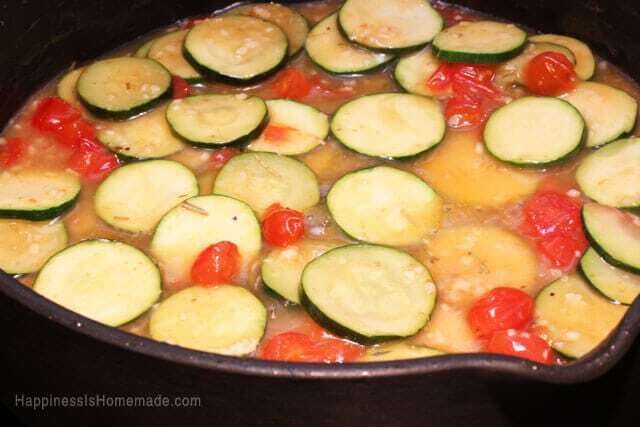 Add to skillet and cook until thickened and bubbly. Cook 2 more minutes and then stir in tomatoes (if you haven’t already!). 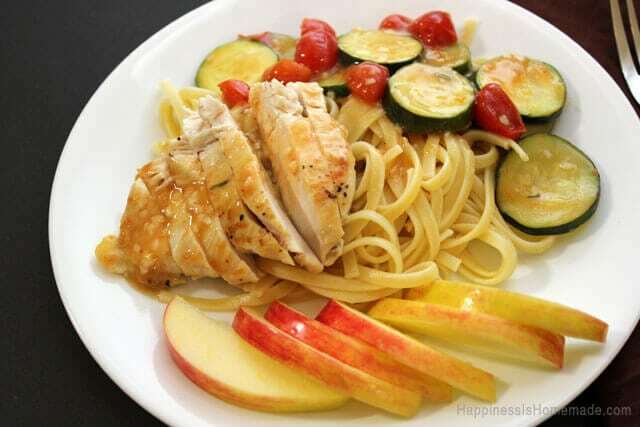 Serve chicken and vegetables over pasta. YUM! I loved serving my family a healthy and delicious dinner, and the break from our normal rotation of boring food was much needed. eMeals is offering 35% off of a 1-year subscription with the code RESCUE (valid through December 15, 2013), so now is the perfect time to give them a try yourself! I’m sure you won’t be disappointed! Be sure to give eMeals a follow on Facebook, Twitter and Pinterest to stay up to date on all the latest information and promotions. 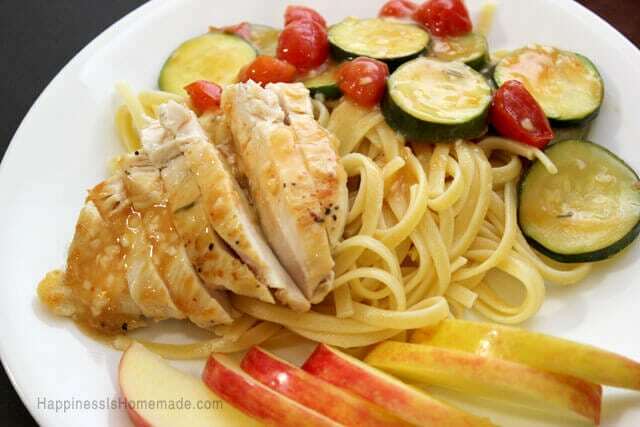 The rosemary chicken, pasta and veggies look so yummy. One of my goals for next year is to have/be better organization. 2013 flew by with little to zero organization. Thank you for the eMeals introduction.